A company’s online presence is very important nowadays, and establishing an Internet brand is a task that takes a lot of time and money; that is why protecting your online brand is more important than ever. You can do this by hiring a specialized company, like domainbigdata, to monitor the web for any signs of infringement on your rights, collect evidence of such fraudulent activity, and finally shut down those sites with the help of law enforcement authorities. Particularly small and midsize businesses, irrespective of their location, can benefit the most from proactive information security measures. All Internet activity, including cyber crimes, leaves behind a fingerprint which can be used to map all cyber activity. 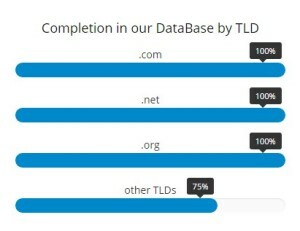 http://domainbigdata.com/ can help you analyze these fingerprints (domain name, etc) and lead you to the online criminals. Basically, they are able to identify the people or organizations behind these attacks, as well as their networks of criminal activity, stop current attacks and prevent future ones from happening. Using Internet OSINT (or Open-source threat intelligence) helps accelerate crime investigations over the Internet. Online investigation tools include domain names and other registration data, geolocation, IP addresses, whois records that go back many years, DNS (Domain Name System, responsible for the translation of a domain name into an IP address), MX (mail exchanger) records, etc. Whois history returns all ownership records to let you know how long a specific domain has been around, even if that domain name no longer exists. Whois and reverse whois in particular, are useful online tools that help companies prevent and stop online attacks by profiling the attackers, assessing the risks posed to a company’s cyber security, and investigating online fraud and other crimes when these occur. On the other hand, reverse whois is an advanced research tool that is more powerful than simple whois as it enables you to pinpoint the identity of specific people or companies owning one or more domains and link those domains together (owned by the same person or company) so that you get a clear picture of the attacker’s network, including his domain history, the domains he has on the same IP, his IP address, the IP Network owner, whether a domain is suspicious or downright malicious, and find additional suspicious domains that belong to the same person. The company DomainBigData.com has a comprehensive whois data record that you can search by entering data such as the name, phone number, email and home address of the registrant. Reverse whois can also help companies with their SEO, as well as with in-depth research of specific domain ownership to better understand their competitors. For example, a business wishing to purchase a domain from the competition can use tools like whois lookup to determine the ownership history of that domain so that they have all the details before signing a deal. Whois tools also enable companies to monitor whether other businesses have copied their brand or infringed on their other intellectual property rights.